We have been informed that the Bureau of Indian Affairs (B. I. 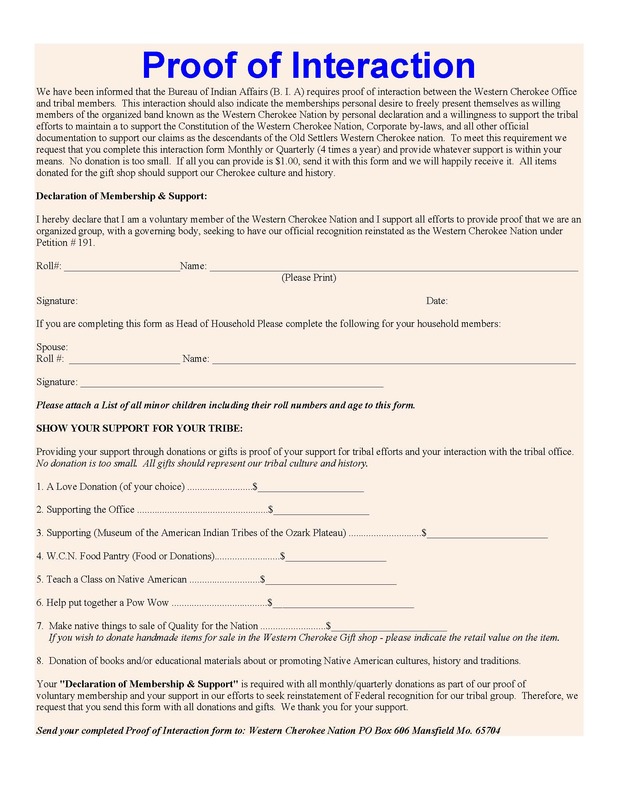 A) requires proof of interaction between the Western Cherokee Office and tribal members. 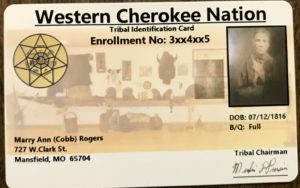 This interaction should also indicate the memberships personal desire to freely present themselves as willing members of the organized band known as the Western Cherokee Nation by personal declaration and a willingness to support the tribal efforts to maintain and to support the Constitution of the Western Cherokee Nation, Corporate by-laws, and all other official documentation to support our claims as the descendants of the Old Settlers Western Cherokee nation. To meet this requirement we request that you complete this interaction form Monthly or Quarterly (4 times a year) and provide whatever support is within your means. No donation is too small. If all you can provide is $1.00, send it with this form and we will happily receive it. The form can be saved to your computer, then filled out and clicking the submit button should bring up email options to send the form. 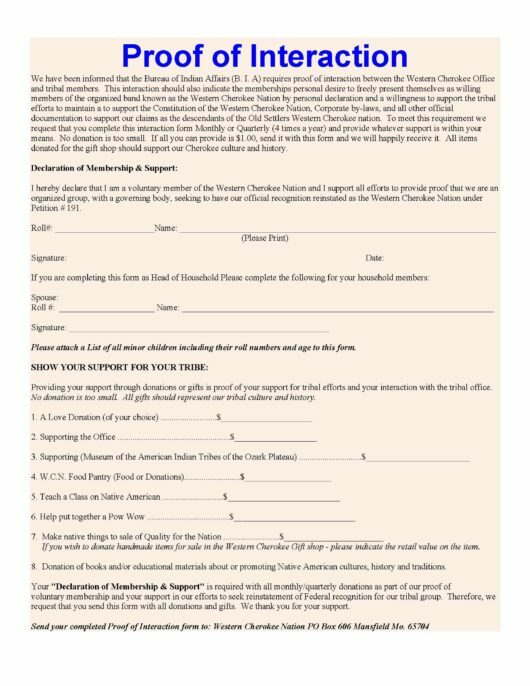 Or, you can create a new email, attach the form, then send it to the Western Cherokee Nation at westerncherokeenation@yahoo.com.